When it comes to air conditioning services, you really don’t want anyone but a qualified professional handling your system. 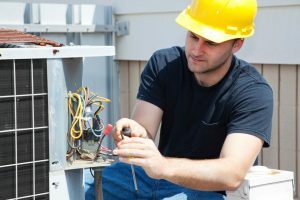 Having the wrong person handle your air conditioner, or trying to maintain it yourself, can damage the system at best and cause serious injury at worst. Don’t take the chance of doing that just to save some money. Not every air conditioner contractor is the same, though. Some are quite a bit better than others when it comes to the quality of their services. For that reason, you should look for the following three things when choosing an air conditioning contractor.